The young Tchaikovsky's first decade living in Moscow beginning in 1866 was marked by his rise to relative notoriety in various musical and social circles. A preoccupation with characteristic writing for solo instruments marks Tchaikovsky’s concertante works, and he solicited advice from virtuosos regularly. 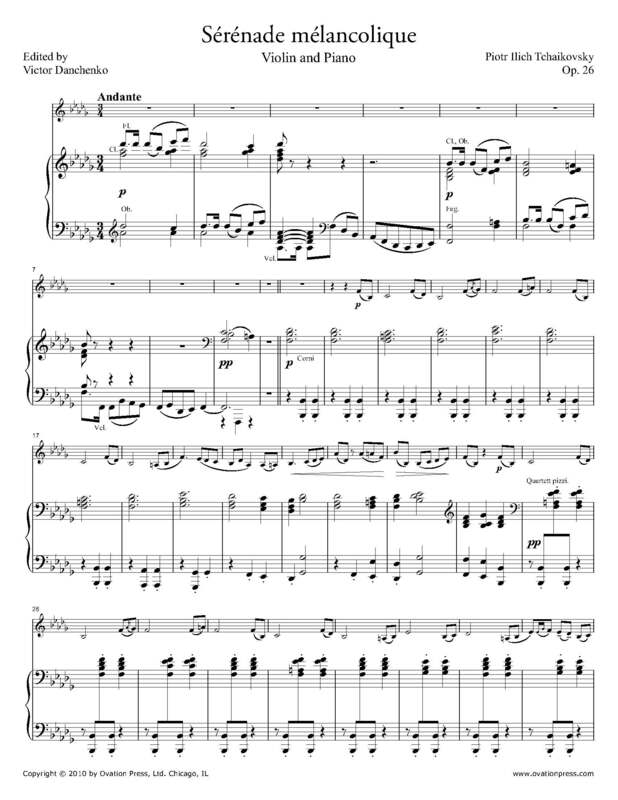 Originally composed in 1875 for violin and orchestra, the work was immediately arranged for violin and piano by the composer and published in 1876 shortly after the premiere with orchestra. Comprised of a large three-part form (ABA), the single-movement Sérénade mélancolique opens with a delicate tune played solely on the G string before moving into the profound middle section featuring two intense Largamente sections. The work ends with the despondent theme of the opening at triple pianissimo.